Late in 1912, he and his wife went to Italy where they rented a studio in Rome. There he discovered a local model called Peppina from Anticoli Corrado in the Sabine Hills. This girl, with her rural charm and beauty, was such a perfect subject for William that he soon became enchanted by the freedom of the Sabine Hills and the peasant girls who lived there. Far removed from city culture, William was so inspired by the imagery and drama of their lives that even time spent in Florence and Venice could not surpass his discovery in rural Italy. William was commissioned in the First World War and became Admiralty Assistant Overseer of Airships. This took him back to his native Scotland, where in 1919 he painted a tiny watercolour called Hilda´s Bonnet on the linen of a fragment of HM Airship 24 which he had previously commanded. Post World War I, William Russell Flint´s artistic career began to flourish. He decided to become a full time painter, ceasing his work as an illustrator, and for a time the colourful fashions of his female models reflected the cultural changes taking place after the deprivation of the War. Leaving London he travelled to France and Spain, until the Civil War, where he produced wonderful paintings reflecting the local scenery and culture. 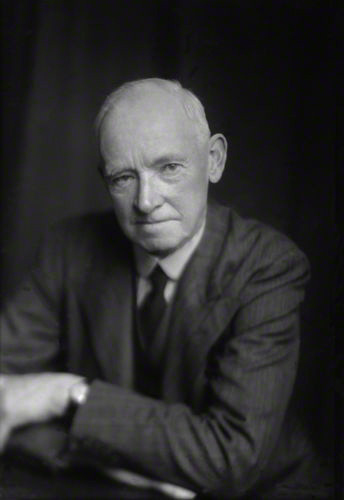 He was elected Associate of the Royal Academy in 1924, full member in 1933 and in 1936 became President of the Royal Society of Painters in Watercolour. After living on a turkey farm near Totnes, Devon during the Second World War, he and his wife moved back to London where the post war period became Russell Flint´s greatest. 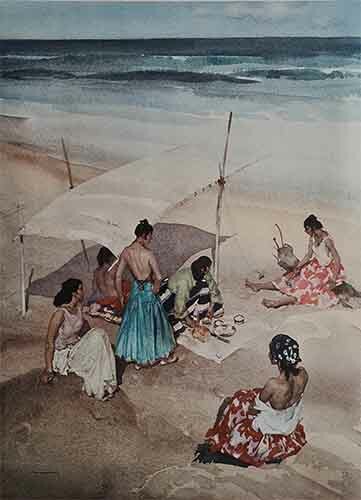 His talent with both the watercolour medium and his skill in depicting the female formcreated a hallmark style which would later become legendary. 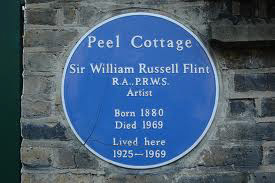 In 1947 William Russell Flint was knighted by King George VI alongside the actor, Laurence Olivier and the musician, Malcolm Sargent. In 1962 his work was acknowledged by a retrospective exhibition in the Diploma Gallery of the Royal Academy, giving pleasure to more than 21,000 visitors. 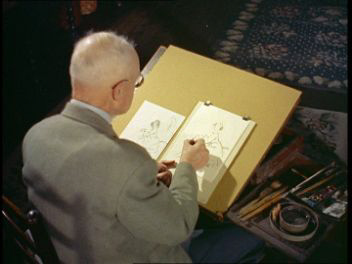 At the time, Charles Wheeler, the President, paid tribute to the artist, describing his watercolour technique as a ´baffling skill´. Sir William Russell Flint died in December 1969, aged 89. He left behind one of the finest and most sought after collections of watercolours in the World. A modest man, he always remained genuinely grateful for the talent he had been born with and once said "I have always painted for fun. If it ceased to be fun I would stop painting". Russell Flint became the President of the Royal Society of Painters in Watercolour in 1936. Throughout the early 1940s, Russell and his wife Flint lived on a turkey farm in Devonin Devon. As a previous officer of the RAF, he was permitted to enter Devonport Dockyard,(a limited edition of this painting was released, and described as a masterpiece of perspective) and paint, at will.